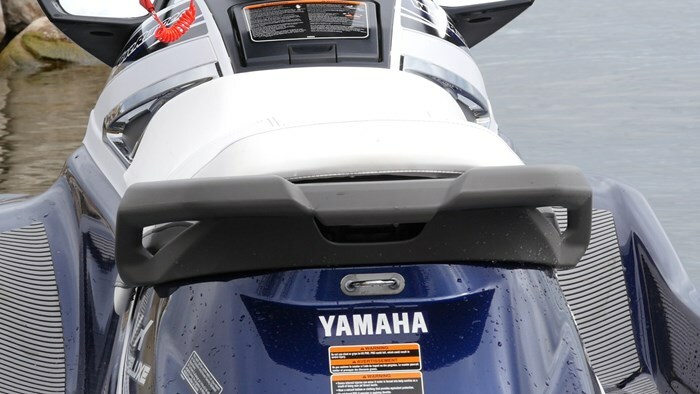 For over a decade the MR-1 engine was the powerplant of choice for Yamaha Watercraft. It was fuel efficient, powerful and of course with every Yamaha, it was reliable. But it was also time for a change. Not ones to rest on their laurels, Yamaha set out to do what every engine manufacturer sets out to do: make a smaller and lighter engine that’s more powerful and uses less fuel. That my friends is the real life version of having one’s cake and eating it too. Yet if anyone can pull it off, it’s Yamaha. Enter the TR-1 Engine. When compared to the MR-1 four-stroke that it’s replacing, the new TR-1 is 20% lighter, 40% smaller in size(!) while being 13% more powerful. On paper it appears that they have done it. How, you ask, well sometimes it’s best not knowing but there are a few cool details about this engine that we can get into without getting too technical. Next it comes down to computers and plenty of them. Electronic Fuel Injection (EFI) makes sure there is the right amount of gas being used at all times delivering smooth response and power output which is part of Yamaha’s Engine Management System or Y.E.M.S. that also manages ignition timing, injection mapping and engine diagnostics. More computer than machine really, but if that’s what it takes to deliver great performance without hurting the fuel budget then you have me sold. The VX Deluxe that I was able to test this motor out in doesn’t have a reputation for being a performance watercraft. It’s meant to be a reliable, family friendly cruiser used for touring the lake with friends.. (Yawn.) Little did I know I would soon be in for quite an awakening. Even though it was the middle of October when I got my hands on this machine I was ready to put it through its paces. Armed with a full body wetsuit and a can do attitude I idled a safe distance away from shore and when deemed a safe distance and squeezed the throttle all the way down, held on and hoped for the best. With that any previous misconceptions I had about the VX Deluxe were left behind in my wake as the power hookup was instantaneous I immediately gripped the handlebars a little tighter. The VX sprung out of the water like being shot from a cannon and next thing you know I was doing 30 mph heading into a heavy chop on this windy October day. Backing off of the throttles and settling into a comfortable cruise I had to reduce the smile I had that stretched from ear to ear and said “okay, back to work, this isn’t all fun” but I was wrong yet again. Setting up for a hard turn I dug the nose in to starboard and quickly switched directions to port and the VX responded almost by saying “is that all you got?” as it kept up with me move for move. As I dug in hard on the handle bars and kept the throttle pinned down the TR-1 engine kept the power coming in an almost unlimited supply. The same way a housefly buzzes around a room, zipping and turning in every direction, that was me on the VX Deluxe as I had the whole bay to myself. The old MR-1 engine in the VX Deluxe was good, not great. This new TR-1 in the Deluxe was great, if not incredible. Realizing that not everyone is going to drive this watercraft the way I do, I had to back off on the throttles and the hard turns and settle into some straight line cruising. The sponson design on the VX Deluxe is built so that it holds straight line cruising with laser like precision. 90% of the time when you’re on the VX Deluxe you’re going to be cruising from point A to point B in a straight line so the sponson design was designed for such. I found this to be true, not only when heading into and with the chop, but also taking waves on the broad side the VX holds its line and keeps its stability. Being a three-seater it is also designed to not lose either of these when a second or third person is added to the mix. 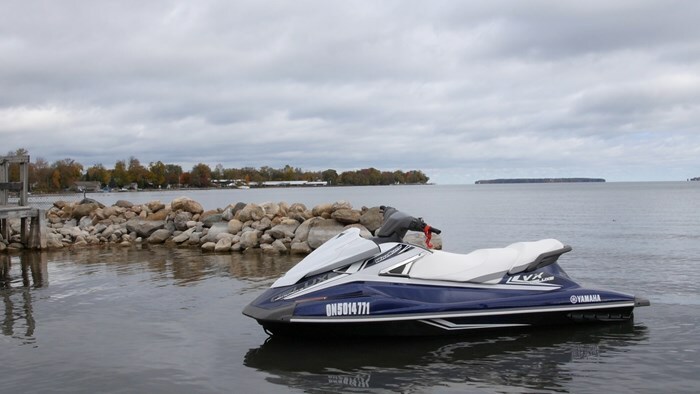 With my fingers being sufficiently cold and not being able to feel my forehead I figure it was time to head back to the marina and check out some of the features that has made the VX Deluxe Yamaha’s best selling watercraft of all time. What I like about the VX Deluxe and what I think grabs everyone is that this is a practical, no nonsense watercraft that gives you everything you need and nothing you don’t. 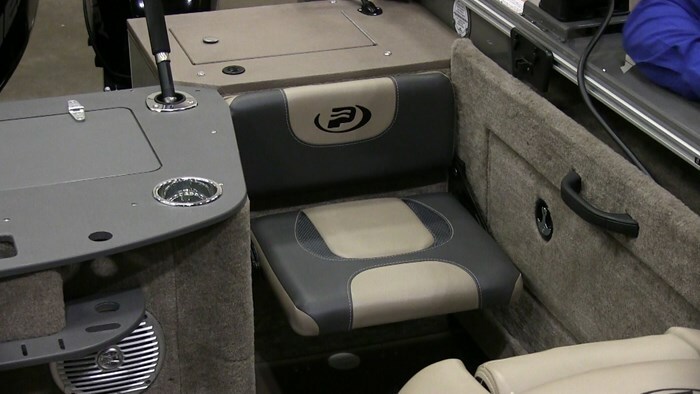 Storage is huge in this watercraft with 93 L of total storage. For things like lines, safety kits and spare life vests you can toss them “under the hood” as the front cowling lifts up to reveal a large storage area. Forward of the rider is a glove box style compartment that is perfect for things like water bottles, your operator’s card and smaller items that you don’t mind getting wet like your keys. For those important items like cellphones and wallets there is a removable, dry storage bin found under the third seat. 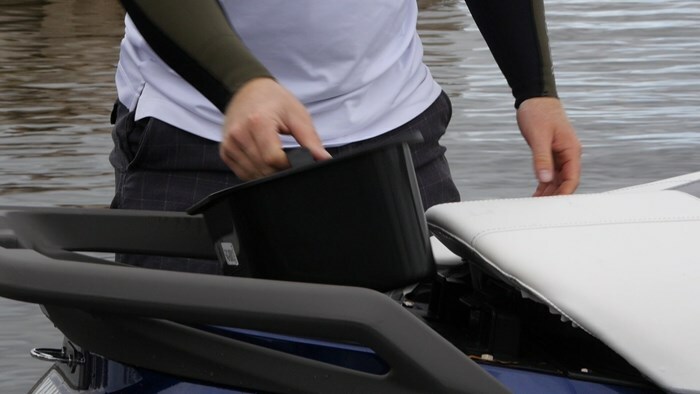 It’s no bigger than a small cooler with a handle on the top, allowing you to remove it if you stop somewhere for lunch and take it with you without a hassle. When you’re ready to go you can just toss it back in the VX and head on your way. 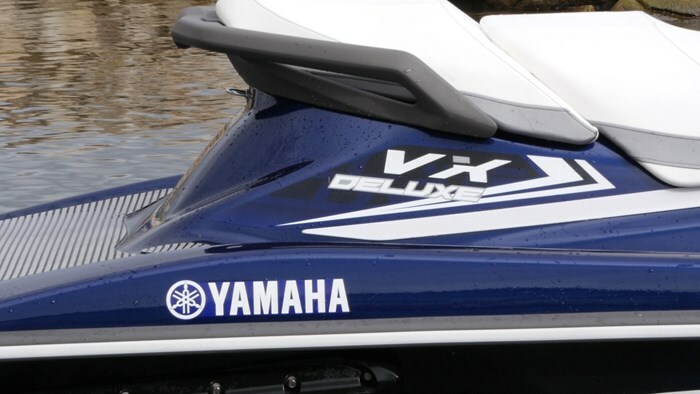 There are many features on the VX Deluxe that continue to make it Yamaha’s best selling watercraft and these include angled footwells for rider ergonomics that reduces fatigue on those longer rides. The dual concave rear-view mirrors are actually usable rather than just decoration and the rear platform on the VX is quite spacious for this size of watercraft. Since it is a true three-seater you are going to be able to tow a skier or kneeboarder behind it and the rear platform will give them somewhere to get geared up. Additionally the handles for the passengers are designed for either facing forward or backwards if you’re playing spotter. The VX Deluxe is a watercraft that really fell into the “if it isn’t broke, then don’t fix it category” but at the same time when you’re introducing a new watercraft engine you want to see how it handles different applications. The TR-1 engine is a sure fire home run. It took an average, run of the mill watercraft and turned it into a sleeper. From a grocery getter to a white-knuckle fun machine. Those conservative buyers will always be drawn to the VX Deluxe but now those performance seekers who are on a bit of a budget will have a new watercraft to catch their attention.